I know that most of us traditional priest are busy and some of us still learning. 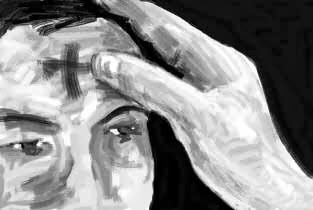 I thought it would help you busy priests get ready for Ash Wednesday. Here are a few suggestions. This is for a low Latin Mass. Before the Latin Mass for Ash Wednesday these things need to be prepared. 1) Vessel of Ashes to be Blessed placed on the Epistle (Right) side of the Altar. 3) Holy Water and Incense ready. 4) Purple Cope, Stole and Vestments (Chasuble and Maniple set out on Sedilia). with prayers of blessing for the ashes. 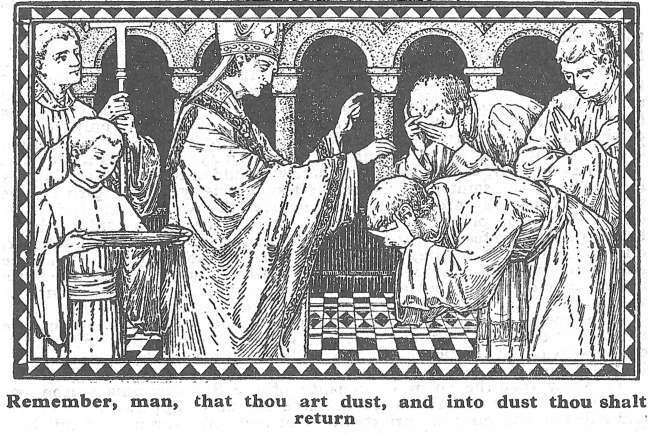 of antiphon only of “Asperges me…” to be said while blessing ashes with Holy Water. small card with prayer to be said as you apply ashes. “Memento, homo, quia pulvis es, et in pulverem reverteris.” Start practicing this now so that if possible, by Ash Wednesday it is memorized. prayer over the people at end of mass. 7) Picture, Bowl, lemon and towel to wash fingers after applying ashes placed on credence table. Blessing of Ashes. The priest, vested in purple cope, processes in and genuflects. He then goes to the Epistle (right) side of the altar to bless and incense the ashes. He faces the altar, hands joined, says these four prayers. Omnipotens sempiterne Deus, parce paenitentibus, propitiare supplicantibus, et mittere digneris sanctum Angelum tuum de caelis, qui bene†dicat, et sancti†ficet hos cineres, ut sint remedium salubre omnibus nomen sanctum tuum humiliter implorantibus, ac semetipsos pro conscientia delictorum suorum accusantibus, ante conspectum divinae clementiae tuae facinora sua deplorantibus, vel serenissimam pietatem tuam suppliciter, obnixeque flagitantibus: et praesta per invocationem sanctissimi nominis tui; ut quicumque per eos aspersi fuerint, pro redemptione peccatorum suorum, corporis sanitatem, et animae tutelam percipiant. Per Christum Dominum nostrum. Deus, qui non mortem, sed paenitentiam desideras peccatorum: fragilitatem conditionis humanae benignissime respice; et hos cineres, quos causa proferendae humilitatis, atque promerendae veniae, capitibus nostris imponi decernimus, bene†dicere pro tua pietate dignare: ut, qui nos cinerem esse, et ob pravitatis nostrae demeritum in pulverem reversuros cognoscimus; peccatorum omnium veniam, et praemia paenitentibus repromissa, misericorditer consequi mereamur. Per Christum Dominum nostrum. Deus, qui humiliatione flecteris, et satisfactione placaris: aurem tuae pietatis inclina precibus nostris; et capitibus servorum tuorum, horum cinerum aspersione contactis, effunde propitius gratiam tuae benedictionis: ut eos et spiritu compunctionis repleas, et quae iuste postulaverint, efficaciter tribuas; et concessa perpetuo stabilita, et intacta manere decernas. Per Christum Dominum nostrum. He then puts incense in thurifer, and then blesses the ashes 3 X with Holy Water while he recites the Asperges me. Then he incenses the ashes 3 X. Then whoever is highest in the hierarchy present at the Holy Mass, applies the ashes to the forehead of the priest. (For most of us, it will be altar boy #1.) The priest thens puts the ashes on the altar boys and then the faithful kneeling down at the altar rail. After all have received ashes, the priest says the last prayer. Concede nobis, Domine, praesidia militiae christianae sanctis inchoare ieiuniis: ut contra spiritales nequitias pugnaturi continentiae muniamur auxiliis. Per Christum Dominum nostrum. Amen. Then he goes to the Sedilia, washes his fingers, takes off the cope and puts on the Maniple and Chasuble. There are no prayers at the foot of the Altar. Holy Mass begins with the Introit at once. Inclinantes se, Domine, maiestati tuae, propitiatus intende: ut qui divino munere sunt refecti, caelestibus semper nutriantur auxiliis. Per Dominum nostrum. It sure is a lot of work to be a traditional Catholic priests. But it sure is a great blessing too. 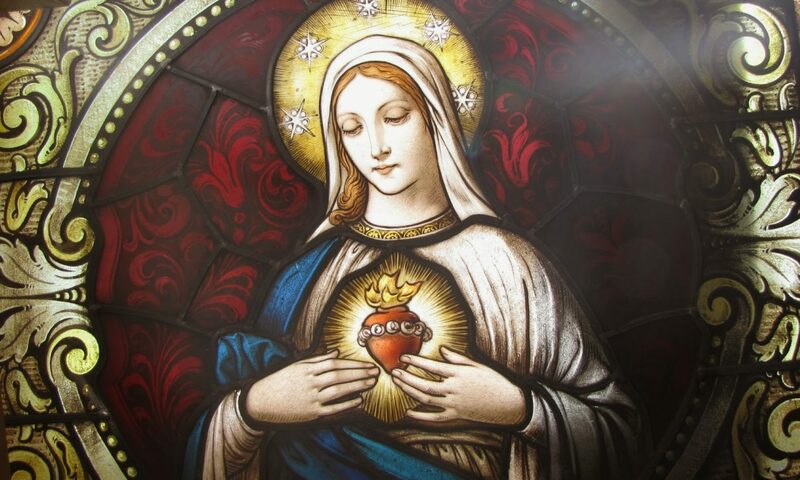 Thank you to all you priests who are trying so hard to learn the Latin Mass and to those who are persecuted for preserving the “great treasure of the Latin Mass”.